Last Thursday, we led a Campaign Precheck Deep Dive, featuring some insights from our visionary leader, John Thies. 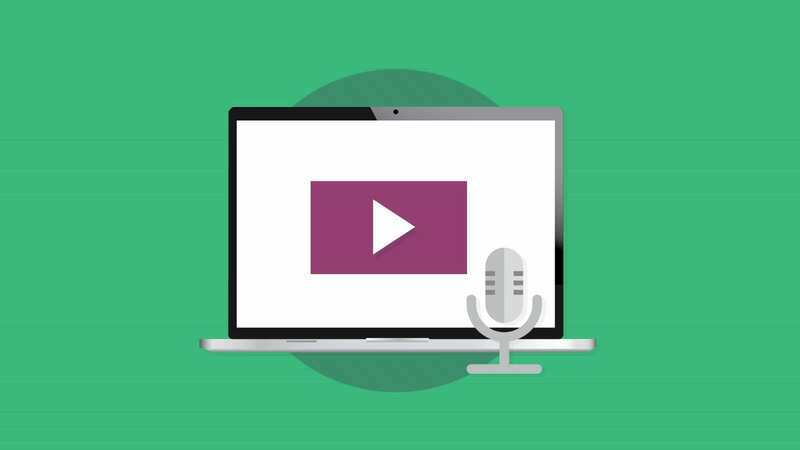 In this hour-long webinar, John went through all the steps of the Campaign Precheck workflow, from Preheader Text to Spell Check. It was great to have so many of you join to see what email QA testing can look like when it’s designed to be quick and painless. It’s email QA, but without the stress. John frequently presents on email marketing best practices, including preheader text, accessibility, and more. All of these factors are important for your subscribers to click, read and take action on your email. With that, we built a platform that checks your emails for each element in one almost-too-easy-to-be-true workflow. Campaign Precheck allows you to edit your code within the platform—you don’t have to be a developer or even know HTML to make corrections to your email. By performing QA and making email edits in one streamlined workflow, you save time, stress and, at the end of the day, your brand’s reputation. After going through each step of Campaign Precheck, you can feel confident to hit that send button. 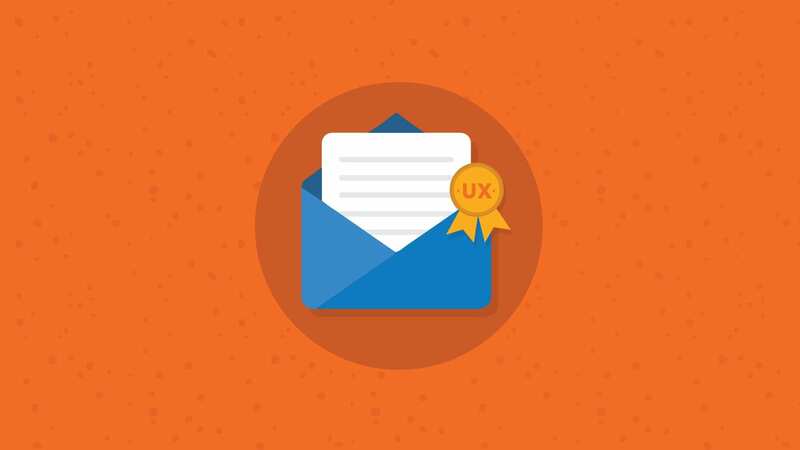 How your email displays in your subscriber’s inbox is your first opportunity to grab their attention. 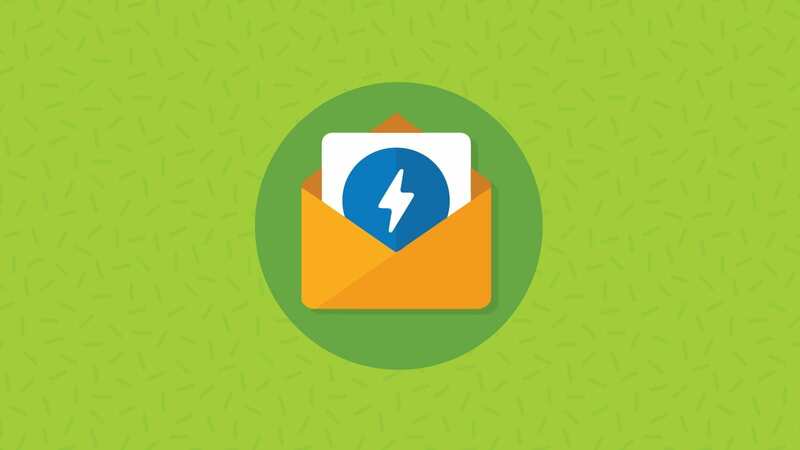 Preheader text displays next to your subject line in the inbox and plays a big role in getting your subscriber to open your email. Unfortunately, this prime bit of inbox real estate is often overlooked or underutilized. With Campaign Precheck, you can preview your preheader text on 15 platforms, including mobile, webmail and desktop. From there, you can adjust your copy to achieve maximum inbox oomph. When more of your subscribers can read your email, it means a higher impact on your bottom line. The Accessibility tool was designed with end users with visual impairments and color deficiencies in mind. 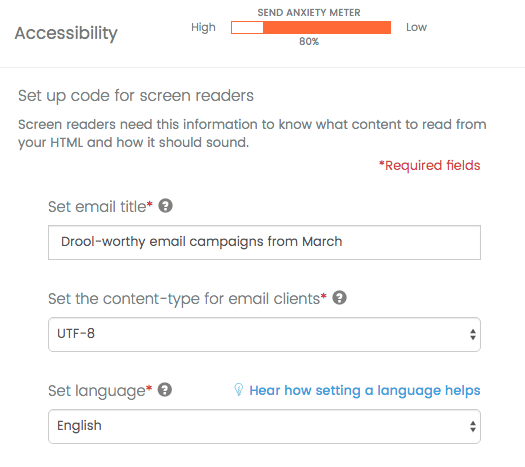 It tests your email designs to ensure that anyone can read them (or hear them via screen reader). 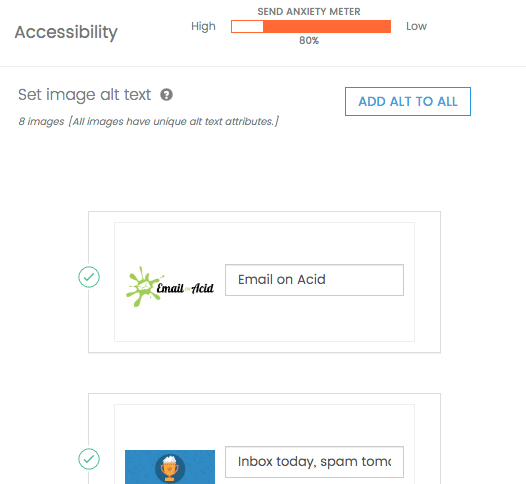 Some government, academic and financial organizations require that emails be designed to reach all users, and the Accessibility tool helps adhere to this rule. Moral of the story, accessibility should always be taken into account, regardless of whether your organization requires it or not. Otherwise, you are quite literally leaving money on the table. Is there anything that bums out your bottom line like bad links and CTAs that don’t direct users to the right place? 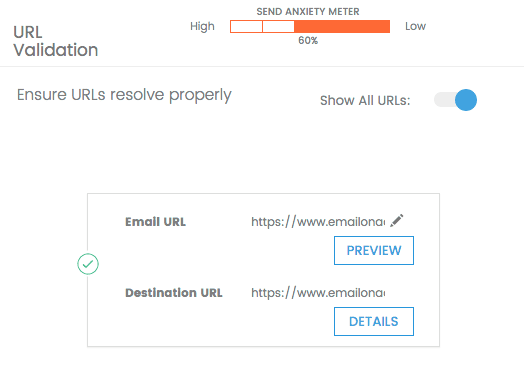 URL Validation not only checks the URLs in your email to ensure your customers can complete important CTAs, but also to see if any blacklists are being flagged by your email. It then gives you pointers to help get yourself off the list if necessary. Finally, URL Validation will help you add any parameters to your UTMs if you’re using Google Analytics. These parameters are helpful when tracking a subscriber’s action on your website only after they’ve clicked your email’s CTA. This can help you better understand what email content performs best, conversions from email, website sessions, page views, etc. so you can continue to optimize your content and increase your ROI. Images are a vital part of email marketing. Nothing turns off a subscriber more quickly than an image that does not load or does not load as expected. 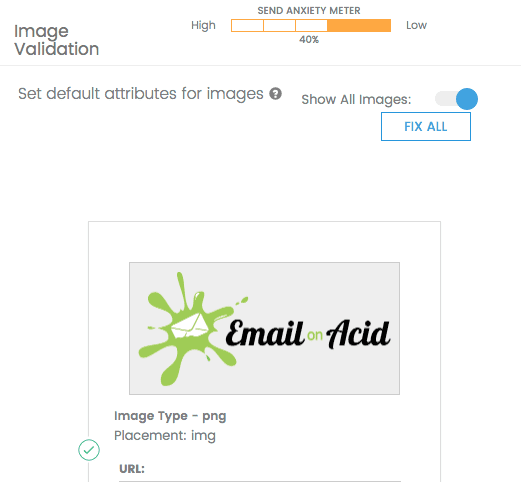 The Image Validator tool allows you to set default attributes for images so that your image is sized correctly in every client. This tool also optimizes GIFs for clients that don’t support the animated file type. Any changes made to your images are automatically applied to your HTML and displayed in the right preview window for you to review. We all know that oh-sh*t moment when you realize your email has a spelling error AFTER it’s been sent. Nothing will negatively impact a subscriber more than misspelled words or even accidental profanities in an email. 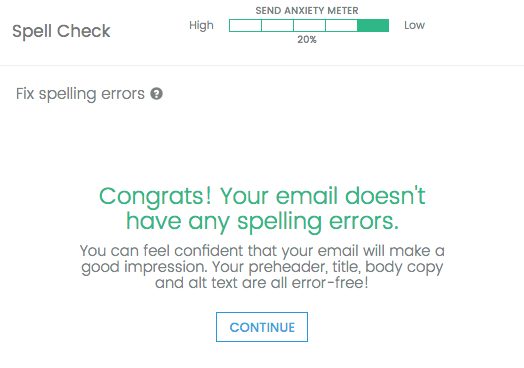 Our Spell Check tool reviews your email title, alt text, preheader text and the body of the email for any mistakes and flags them for your review. (Don’t worry, Campaign Precheck will never make a change without your approval.) Spell Check also scans for words that are offensive to help you preserve your brand’s reputation, and ultimately increase your ROI. 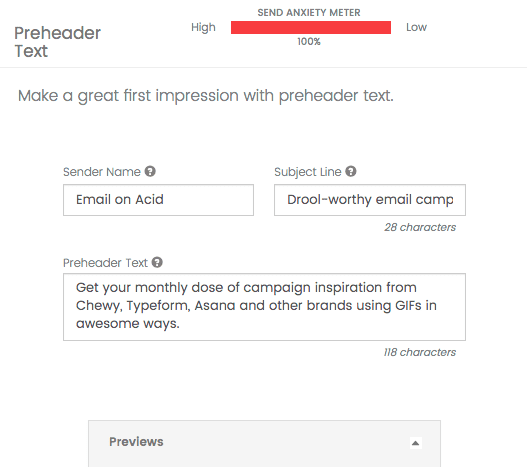 Throughout your workflow, you’ll see a Send Anxiety Meter at the top of your dashboard. 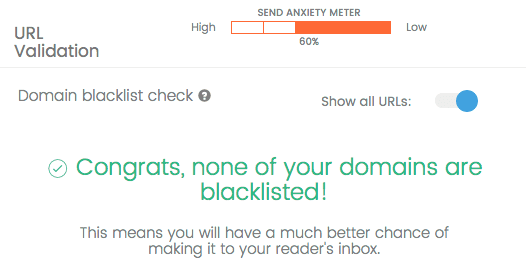 As the Campaign Precheck seamlessly QA’s all aspects of your email for you, your Anxiety Meter (and your own stress) will dissolve to zero. Once you hit the summary page, you can review all the code changes you made. 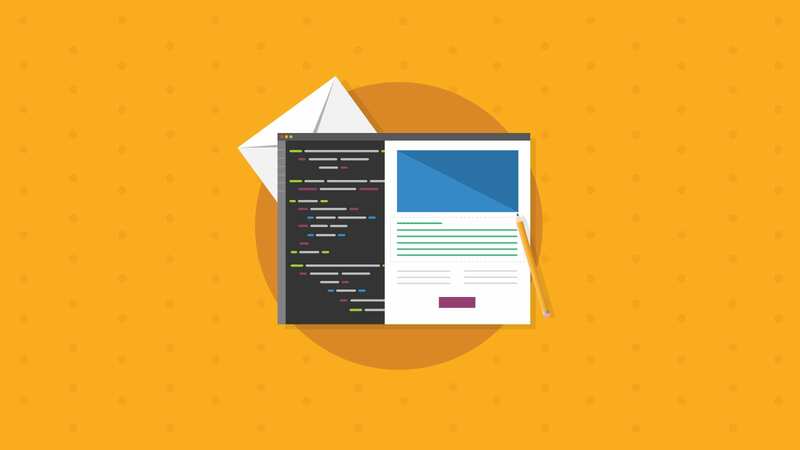 You’ll also have the option to download the original and modified code, as well as launch an email test right from the platform. A quick view Report Card shows what steps you might have missed. We’ve rounded up some of the questions our guests asked. If you have any others we might have missed, please don’t hesitate to reach out. We’re always happy to answer them. Q. What is EOA’s plan for adding more (and more current) Android handsets for testing? A.We get a lot of product requests, and the more requests we receive of a specific client, the higher priority it receives. We are currently looking into adding more Android clients for the product roadmap. Sign up for emails on our website to get notified when they are added. Q. Is there a way to send test emails directly to EOA and run that through the Campaign Precheck workflow? A.Yes, we do have the auto process email for Campaign Precheck. Before you get to the Workflow step, we will ask if you have the HTML code or not. You will have the option to select ‘no’ and then you will be directed to the auto process email from there. Q. Does the auto process email change with every new campaign? Or is it unique to my user account? A.The auto inbox address does change when you select your workflow. 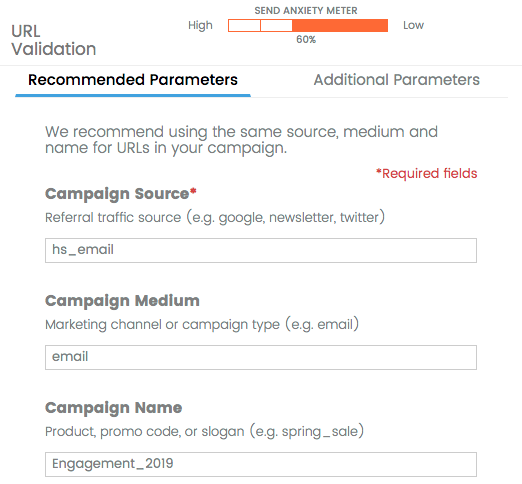 For example, to run a URL Validation step in Campaign Precheck your auto inbox address will add “+urlvalidation” to your auto inbox address. Q. What are the plans to make this feature available to the API to extend the email testing API? A.Campaign Precheck will be made available to our API customers in the future. Q. Are there any plans to account for BIMI (Brand Indicators for Message Identification) in the preheader section? A.There are currently no plans to add BIMI to the preheader section, however, this request has been passed on to our product team for consideration. Q. If your email code already has the title, language or roles, will those fields populate in the toll? A.Yes, our tool auto populates that information. Q. Our links are populated within Responsys; does Email on Acid have any integration with this? A. Email on Acid does not directly integrate with Responsys. We check the URLs so if you are using Responsys these URLs will show as redirects. Q. What happens if you have different UTM tags for different links in your message? Will it show each UTM tag? A. Yes, it will show the different UTM tags. Q. Is the only type of parameter Campaign Precheck can check is Google parameters? For instance, my CRM usess_srcto track sub source codes. Would EOA be able to help me validate those parameters? A. While we currently only support Google Analytics, we have submitted a feature request with our product team. Q. After an image is optimized in the tool, where is it placed? A. After we compress an image, it then gets hosted on our own server. We also provide the new image file with the modified HTML, so you can host it as well. 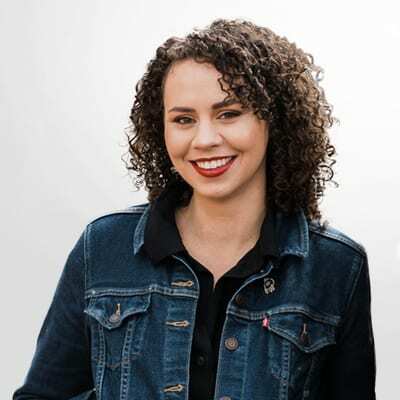 With a background in marketing and a passion for content creation, Kirsten has written copy for ecommerce email efforts and e-newsletters. She now serves as Email on Acid’s social media coordinator and has enjoyed the deep dive into the close-knit and passionate world of the Email Geeks.